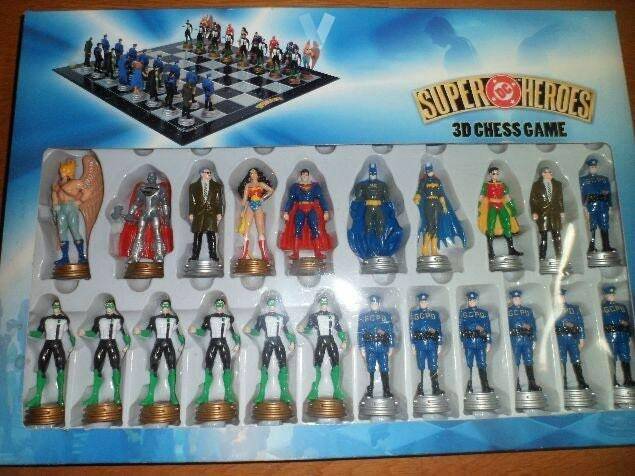 Superhero Chess where all the most famous characters of the sagas of the 80s and 90s fight. 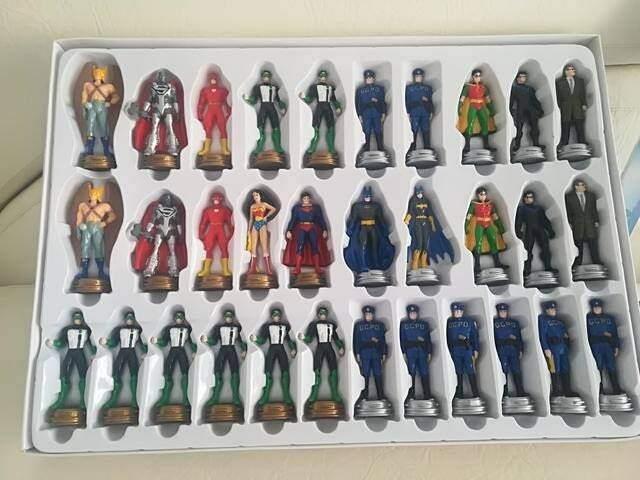 Two unique teams of heroes and villains captained by Superman and Batman face each other for power. 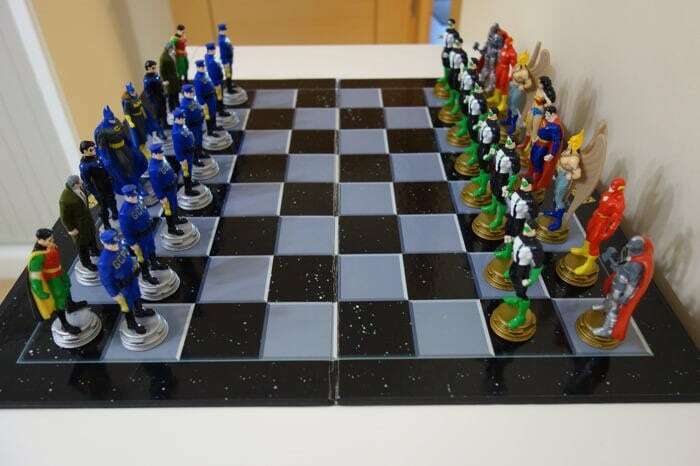 Game that has 32 pieces of PvC of good dimensions and strong material for epic battles. 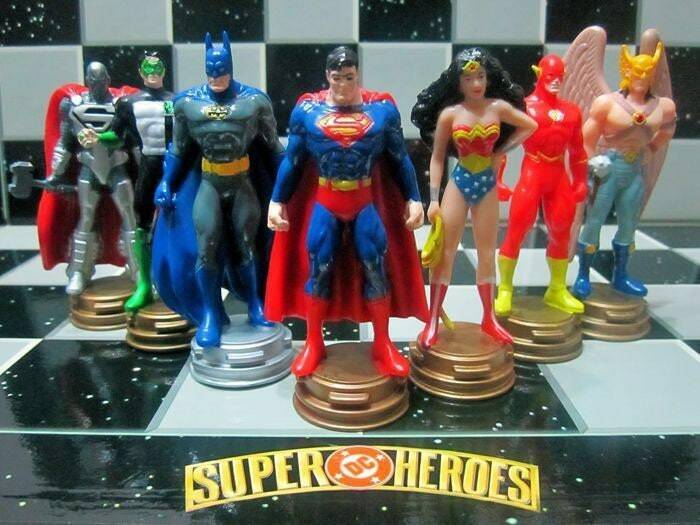 Includes a table game board and the official box.